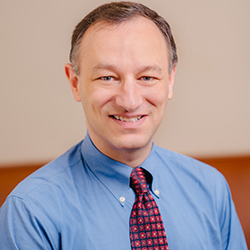 The New York Times Magazine recently featured ITM Associate Director and Learning Healthcare Systems Core Leader David Meltzer, MD, PhD, for his work measuring the value of the doctor-patient relationship. The U.S. health care system has made it increasingly difficult for patients to get individual attention from their primary care doctors, instead favoring a more digital, profit-heavy approach. Meltzer’s research aims to quantify the personal relationship between primary care doctor and patient, research happening in part thanks to a foundation laid by ITM resources. Preliminary results suggest that a stronger doctor-patient bond can reduce patients’ number of hospitalizations, medical expenses, and improve their mental health. Meltzer’s research already shows that a more hands-on doctor-patient relationship leads to a decrease in medical costs and better health outcomes. The next step towards implementing his research to impact real patients is to test the model in different financial, geographic, and demographic circumstances. Learn more about Meltzer’s work here.